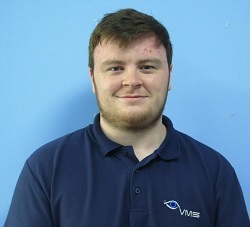 "I'm excited to work with the team at Visual Management Systems Ltd. as I will have the opportunity to start my career in computing engineering learning and working at the same time. This also allows me to work with experts within the company learning a great deal and building my experience." As one of the leading developers of Physical Security Information Management Systems (PSIM) Visual Management Systems Ltd., with its flagship product TITAN VISION is continually looking towards the future and investing in new technology, skills and people, to develop both the portfolio and the team. With this in mind Visual Management Systems Ltd, continues with its Apprentice and Training Schemes bringing new faces into the company. John Downie, Sales Director commented, "This is a great opportunity for young people to gain experience and knowledge in an extremely technical and fast moving industry, we are delighted to have Marc on-board". He added "With new blood and our commitment to continuous improvement, the company is able to embark on it's ambitious road-map for the future and I am delighted to have young people join us on our journey". Take a look at the latest opportunities at Visual Management Systems Ltd.